This week we have one of my favorite Mini-figures of my collection. 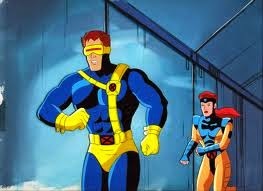 Scott Summers aka Cyclops the one true leader of the X-men. Cyclops was right! Love this mini-figure for having yellow trunks on the pants piece. Also enjoy the full hood look. Hope they one day make a 90's era one with a hair piece and sash. Kind of like this.